MIDC, Andheri (E), Mumbai - 400 093. Important Update for customers - Please update your Aadhaar before 30th Mar to avoid deactivation of your Demat Account. 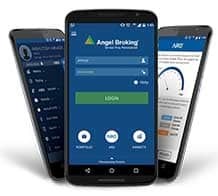 The Angel Broking mobile application provides a platform for our clients’ trading and investment requirements and is powered by ARQ, a rule-based investment engine. An application so comprehensive that you won’t need anything else. Latest news, reports, and real time updates now at your fingertips.  The application is supported by gateways and digital bank in integration with over 40 banks. It is one of the first to integrate UPI based payments. 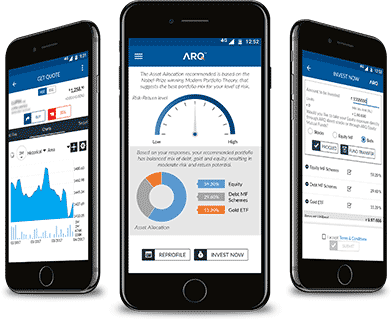 Open an account to experience a rule-based investment engine app. 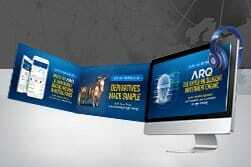 Open an account to experience ARQ & always stay ahead. 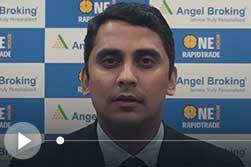 Who is Offering Lowest Brokerage Options in India? 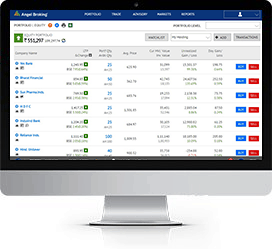 How To Trade Online Using Trading Account? 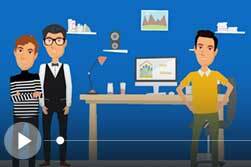 What is Online Share Trading? How Does Stock Market Work? How To Invest in the Stock Market? Why Do People Buy Shares? What is an IPO Process? ‘Investments in securities market are subject to market risk, read all the related documents carefully before investing. We collect, retain, and use your contact information for legitimate business purposes only, to contact you and to provide you information & latest updates regarding our products & services. We do not sell or rent your contact information to third parties. Please note that by submitting the above mentioned details, you are authorizing us to Call/SMS you even though you may be registered under DND. We shall Call/SMS you for a period of 12 months.